Close up detail of electrical control box for Ravi Palace. 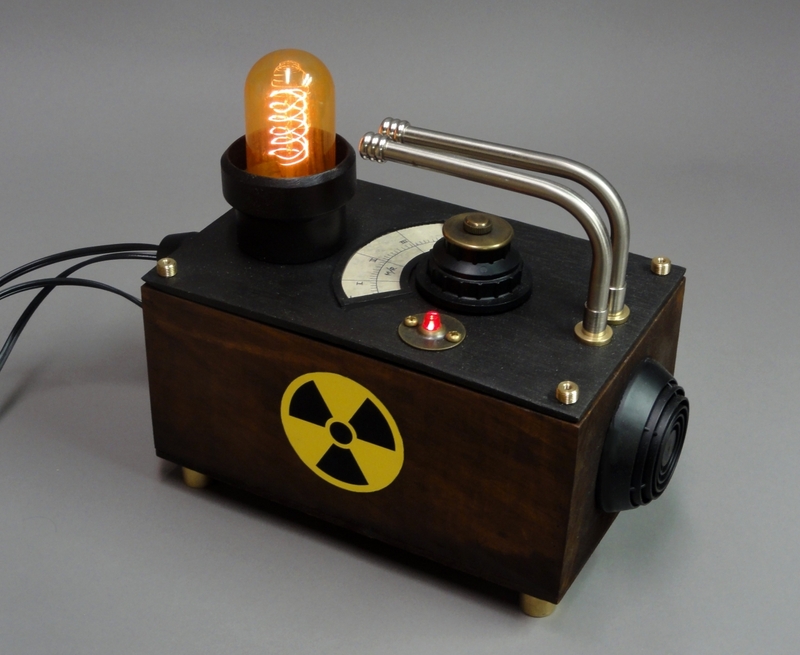 Styled after an early 1950's Geiger Counter. Mahogany. Electrical circuits and bulb.